Private Hire Taxi in Birmingham & Solihull. Private Hire Taxi in Birmingham and Solihull. 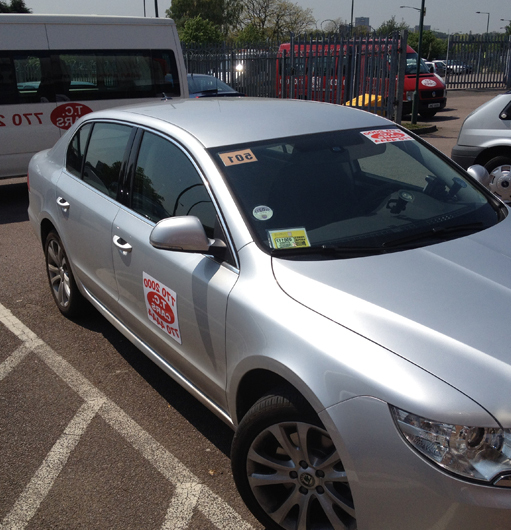 TC Cars specialise in private hire taxis. Our location in Solihull puts us in a prime position for both Birmingham City centre and Birmingham International Airport. We can cater for all your private hire taxi needs, whether it is a short journey to the shops or a long transfer to Gatwick airport. Use our quick quote system or call us on 0121 770 2000 to book now. WHY SHOULD I USE A PRIVATE HIRE TAXI SERVICE? We have a fleet of over 250 quality private hire taxis, therefore, we will always have a vehicle available and in close proximity to you to minimise your wait time. We provide you with the ability to book your taxi in advance, knowing how much you will pay for your journey before the taxi arrives. When you book a private hire taxi from TC Cars you can be safe in the knowledge that you are fully insured. You will also know that you have a taxi waiting for you when you are ready, and not have to wait around for a black cab to come along. You have the peace of mind of knowing that you are being driven by a professional who is fully licensed, has had a CRB check and is qualified in customer service. Relieving the stress and making you as relaxed as possible during your journey. Alternatively, if you are looking for something a little more up market then we can provide you with a chauffeur driven executive car for that important business meeting or if you just want to impress. Take a look at what we have available in our executive range. If you are looking to hire a private taxi or interested in our private car hire then for further information or to book call us now on 0121 770 2000.